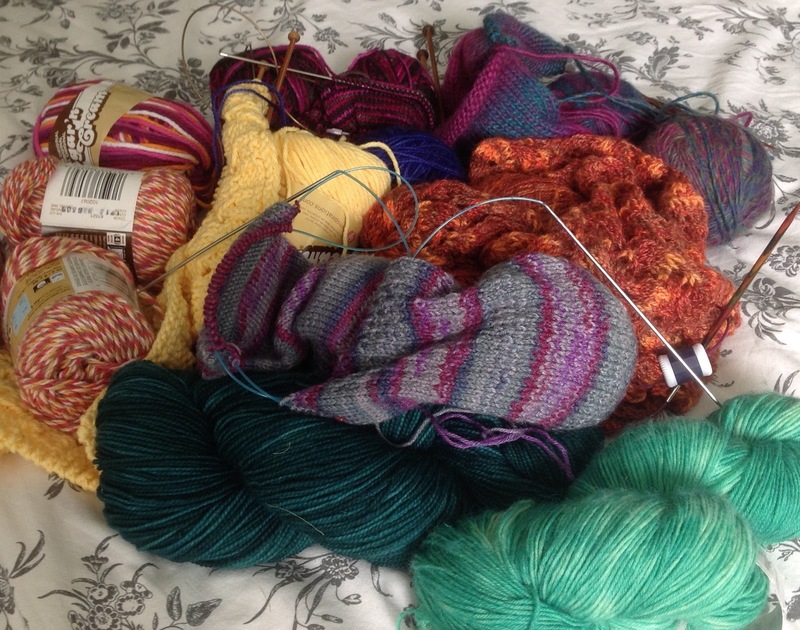 Hmmm... are you sure you have enough yarn? 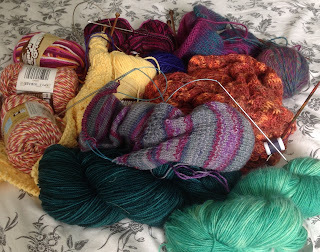 It looks like you might need a few more skeins for such a long time away. And really, aren't there food stores where you are headed? You can always pick up more groceries! There are 2 yarn stores on the island, so I've got back-up! It is SO HUMID and AWFUL here right now, that I am actually looking forward to this trip, camping and all. Northward, ho! You sound like me with packing books for a trip! Lady, your plate is FULL. Good luck managing all those details! You pack enough food for 48 hours and buy the rest when you get to your destination. Mom packs all her clothes, and 2 outfits for each other person, as well as asking them to pack their own stuff. Mom ensures the little things that family forget, like pots and pans and cooking utensils, plus toiletries, get packed. Anything you forget, you probably did not need?